Typically, as the weather gets warmer, we’re all prone to eating lighter meals, especially in the evenings. Not only are summer salads a great way to fill up and not feel heavy, but they are also a great way to make the most of all that fresh produce available this time of year. These recipes can make a light meal by themselves or a perfect side dish if you have an entrée sizzling on the grill. Full of wedges of green tomatoes, shaved cucumbers, and creamy Feta cheese, it offers a light and refreshing mix of flavors that goes perfectly on a steamy summer day. If you want a little more substance, this classic combination of sweet melon and salty ham would be perfect. The creamy burrata cheese, the spicy toasted chili flakes, and the honey vinegar dressing help balance out the rich flavors. 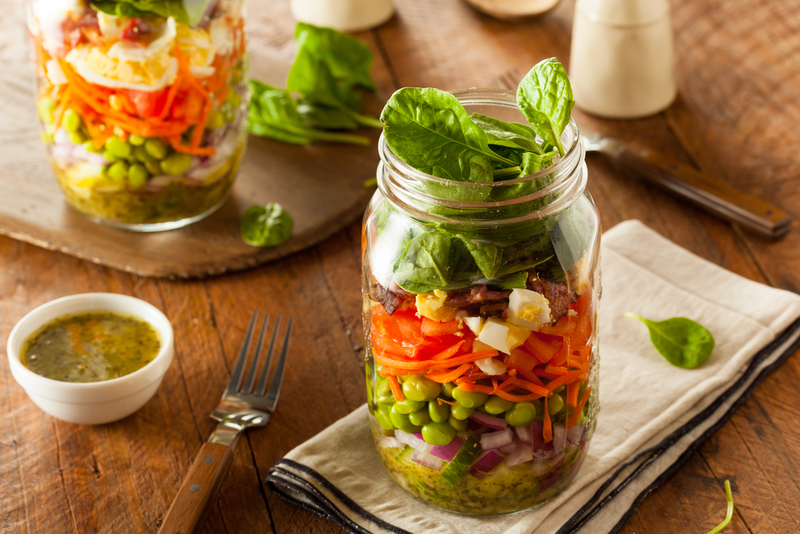 If you need to take your salad with you, a Mason jar is the perfect container. With the dressing on the very bottom, the dense vegetables next, and the leafy greens on top, it will keep for up to a day and goes anywhere your summer adventures take you. We don’t want to forget all of those fresh berries! The combination of spinach, goat cheese, strawberries, blackberries, and blueberries is a wonderful blend of both flavors and nutrients. To keep your salads light, go easy on the cheese and dressing. But do remember that if you are looking to make any vegetable salad a full meal, you can simply add lean proteins and heart-healthy fats such as hard-boiled eggs, sliced avocado, flaked tuna or salmon, or diced turkey. This entry was posted in Diet, Lifestyle and tagged Balsamic Beet Berry Salad, BeautyFrizz, health, Healthy Eating, Recipe, Salad, Shaved Cucumber Greek Salad, Summer, Summer Melon Ham Salad Burrata Chile, Summer Salad Recipes, Veggie Salad in a Jar.